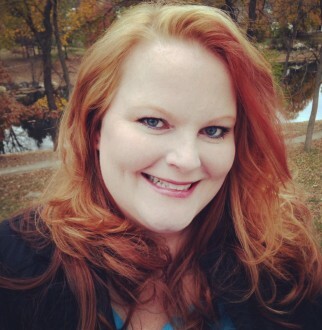 Jenny Bagwill is an abstract acrylic artist residing in St Louis, MO. She began painting in childhood. On her website, she describes the bursts of color in her work as being indicative of 'hope beyond today's turmoil.' A perfect message for those whose lives have been touched by suicide. 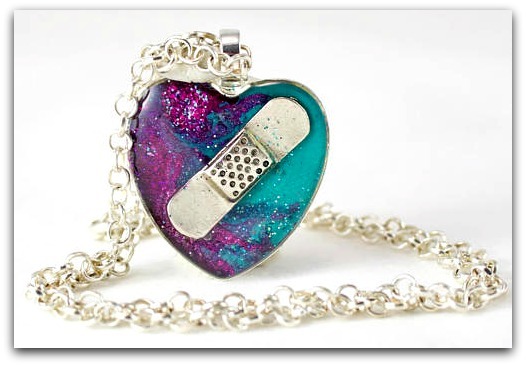 Jenny created the 'mended heart' necklace design seen above, and this one is in the colors of suicide prevention. "It allows people to show their love and support to those that have been impacted by suicide or self harm," Jenny says of the necklace. "Every time I package one up, I take a moment to think and pray for whomever may be receiving it because I know they are in the midst of some painful life experiences."